Don’t you love a good infographic when you want some quick ideas? They’re not really new — once source claims the first one was created In 1626, when Christoph Scheiner published a book that depicted his research about the rotation of the sun. 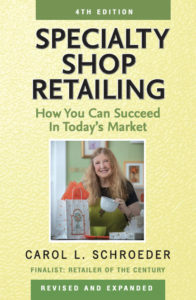 But I’m looking at one that is less than a week old called Last-Minute Ideas to Maximize Your Holiday Sales, by Lisa Goller on the Range Me Blog. There is lots of helpful information on Lisa’s chart, which like any good infographic is scrupulous about giving its sources. One section that caught my eye is about what millennial want from mobile holiday shopping — which attributes the information to Ayaz Nanji’s The Role of Holiday Shopping, which is itself an infographic. There are apparently three things Nanji says will make millennials spend their money this season: 73% want free shipping, 51% want a sale price, and 45% want coupons. In other words, they want a discount, which makes not much different from shoppers anywhere when offered that option. Another interesting point is that 60% of holiday shoppers would like to pick up their online purchases in the store. While this may not be true if offered the alternative of free shipping to their home, it is potentially a service independent retailer with a shopping cart on their web site can use draw customers into their store. Once they’ve come in there is of course a good possibility that they will buy more. Gift card sales also offer a great deal of potential this season, according to Goller’s infographic. She quotes the 2016 Deloitte Holiday Survey as pointing out that $97 of the $329 predicted to be spent on gifts will go to gift cards and gift certificate. What are you doing this season to promote the sale of gift cards to your store? 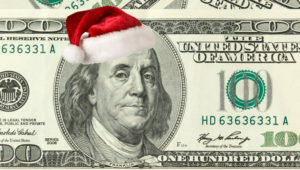 You might consider offering a bonus card for the purchaser that is only valid after the holidays, i.e. buy $100 or more in gift cards and get a special $20 gift card for yourself. A helpful tip comes from an article referenced in this infographic, Rhonda Abram’s 9 can’t-miss holiday strategies for small businesses, which appeared in USA Today last month. The idea that Goller references is that it is helpful to create bundles as pre-made gifts. “Customers spend more when gifts come conveniently wrapped together,” according to Abrams. We can only hope that the growth in holiday sales that Goller quotes (from an article in The Chicago Tribune referencing the National Retail Federation) comes true. The NRF is predicting a 3.6% increase in sales over last year’s holiday season. By the way, if you write a blog for your customers and want to try your hand at creating your own infographic — or if you want to make one for your social media posts — here is an article from the Creative Bloq (which is even creative about its spelling of Blog) that lists the 6 best tools. One of the examples they give shows the distance between the sun and the planets, which shows that in some ways we haven’t come so far since Christoph Scheiner’s time.